Like Ice Cream on a hot day? Happy Days makes goat milk ice cream! A perfect treat when the temperature is soaring or during a special occasion. 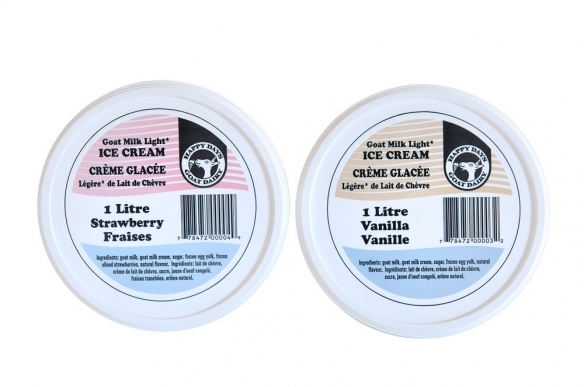 Light Goat Milk Ice Cream is your summer dream come true! Available at your local grocery store in Vanilla or Strawberry flavours. 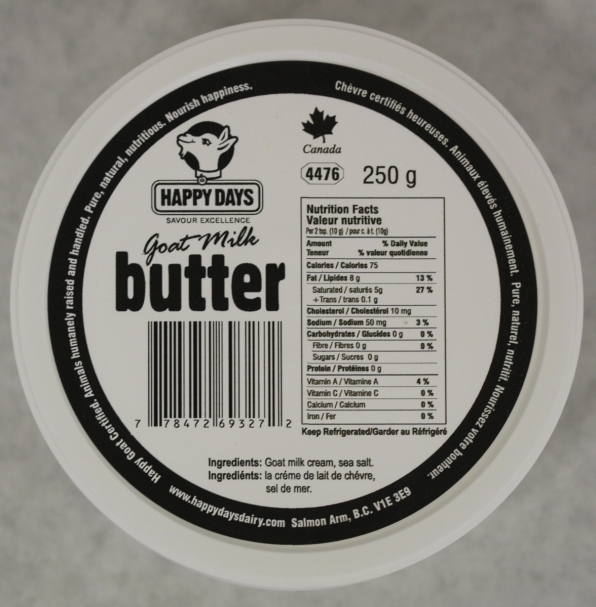 Salted and unslated variety available, Happy Days Goat Milk Butter truly has a subtle taste that’s sweet and unique. You will find that it is ideal for cooking or on its own for spreading!